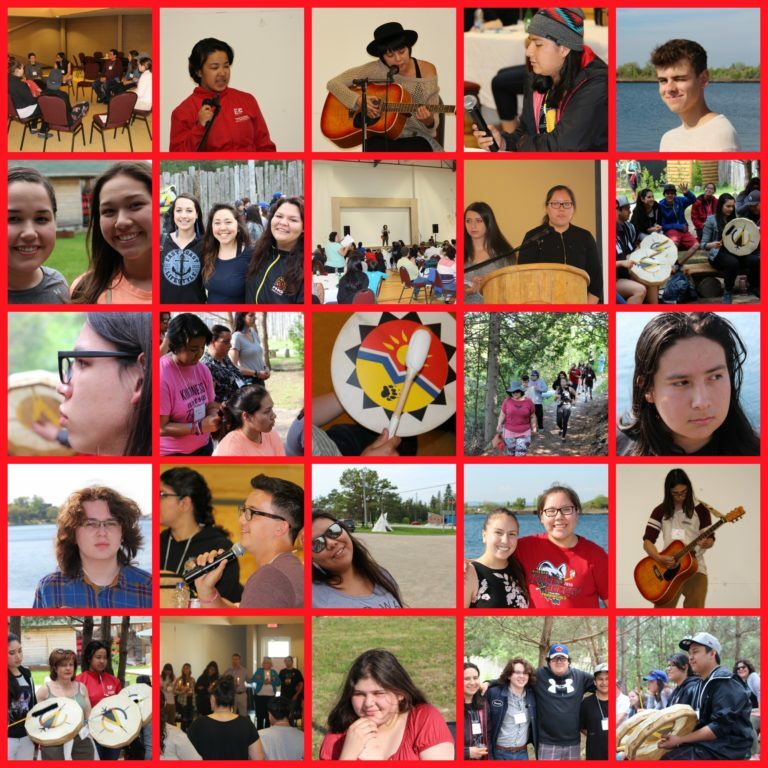 Youth were recruited and encouraged to apply by communities, organizations and leaders in each province and territory and via an online campaign to promote a diverse group of applicants. A selection process identified the final group of Youth Wisdom Carriers and we developed tools and resources to support them and their families in planning for their participation. Several adult allies were engaged to support the youth in their travel to and from the gathering and our team supported the youth from departure to return home. We are grateful for the courage and commitment shared by the youth and adult allies who supported them. These 36 Carriers of Youth Wisdom are what hope, resilience and change looks like. To learn about the Carriers of Youth Wisdom, Click here.